"My steak was awful...like being made to eat one's own tongue." "[my companion] had the hake. He virtually cried." "Esther's rabbit wellington was also rubbish." "I simply do not know what they were thinking." There is more, much more, but those of you without access behind the Times pay-wall (or amongst the Times's 1.2 million readers) will have got the gist by now. You know just how damaging a review like this can be. 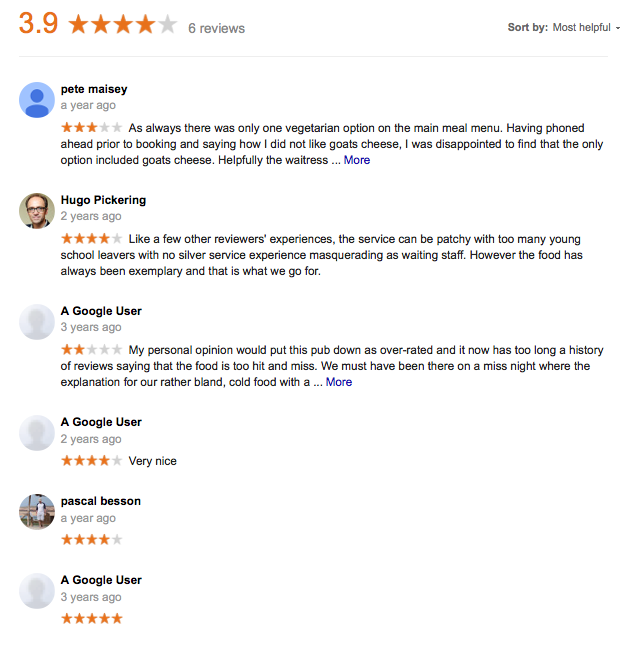 There have been cases where similar reviews have closed businesses. So we checked online to see a) what the web was saying about them and b) if they were taking any action to defend themselves. This story is an illustration of just why review management has developed from something businesses either ignored or paid lip-service to into a fully-fledged professional service that has become a 'must have' for all businesses. So what has the business done? Focused on public relations; their website contains pages of PR (interestingly under the heading 'reviews') and, just as interestingly, the last article posted is from 2010. Their restaurant averages less than 30 customer reviews a year; that's less than one a week (take TripAdvisor out of the equation and that falls to a pitiful 3 reviews a year). 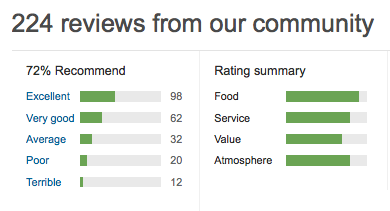 And the quality (and content) of those reviews is not great. Asked* their customers for their opinions. Then, if they only had only managed to get ONE or TWO reviews a week, they would have hundreds of reviews to counterbalance Giles Coren's piece (and their not-so-great Google reviews). The order in which we have shown the various review sites is intentional; it's the order in which Google shows them; however much you may think that consumers are wedded top a particular site, the overwhelming majority will read the reviews they are first shown by Google (providing you have them there). *Restaurants should hand each customer a card and a pencil and ask them for their email address (if it has not already been gathered when the customer booked) and then send them an email thanking them for their custom an inviting their review.